The best Pair Matching Game! If you like to strengthen memory with games, this educational game is for you. Pair Matching Game appeal to preschool children and enjoyable game seekers. High quality images, plenty of colorful graphics, Great music, Very nice background models, Child friendly interface, A new cute character pairs is added to each section in the educational game, so entertainment continues differently. 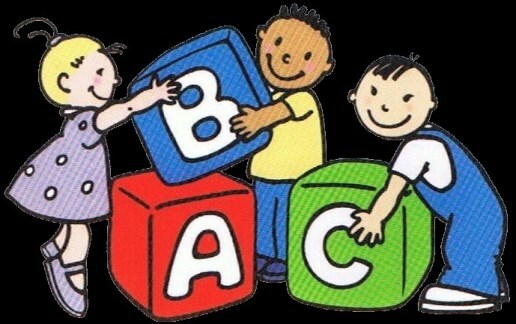 Preschool children can play this educational game with simple and intuitive gameplay. Girls and boys play memory games with matching pairs, their memory skills improve more. Ideal educational game for girls and boys of 3, 4, 5, 6, 7 years, preschool and all ages. Preschool children also increase the speed of development of memory skills. 3 different categories: Easy (3 years and over), Medium (4 - 5 years and over) and Difficult (6 - 7 years and over). Matching game in which you have to find equal pairs. Playing Pair Matching Game especially for preschool children; memory, creativity, focus, attention-grabbing, concentration, motor and cognitive skills, matching pairs. Pair Matching Game is completely free. 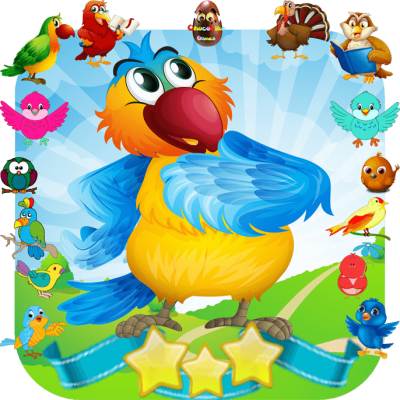 TECHNICAL DATA: Pair Matching Game; is suitable for both smartphones and tablets. The educational games we develop are updated regularly. The best Memory Game - Dinosaur Matching! 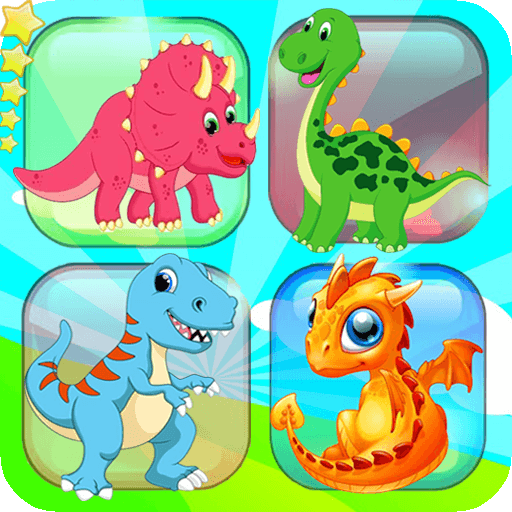 Do you like memory game, dinosaur games, puzzle card matching games? So you'll love this memory game with amazing dinosaur friends! - The background image, game music, front card image and back of card images change in each scene. So entertainment of “Memory game - Dinosaur matching” continues differently, YOU NEVER GET BORED. - A game that will make your brain to focus on the visual memory to remember the dinosaur puzzle cards for matching. - With simple and intuitive gameplay. Preschool children, girls and boys can easily play this educational puzzle cards matching games. 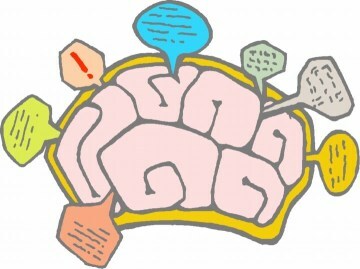 - With your memory skills; focus, remember, motor skills and your creativity will also be strengthened. - Child friendly interface. It does not contain visuals or advertisements that may harm your children. - Our games have been prepared with pedagogical formation trained people. - Player-friendly android application with memory saving, battery saving and high performance. It is possible to do memory exercises by playing Memory game - Dinosaur matching. "ChocoLike Games" / "Pair Matching Game"
2. "Non-personalInformation," which is information that does not identify you and cannotbe used to contact you personally, including information about you such as yourdate of birth, age, ZIP code, non-precise geolocation information (e.g., yourcity), and gender, as well as information about your computer and mobiledevice, such as your unique device ID, Internet Protocol (IP) address, or otherpersistent identifiers, and their hardware/software/firmware. Non-personalInformation also includes "Usage Data," which is anonymous data tiedto your computer and/or device, such as the actions you take within and outsideof the Websites/Apps, the browser you use, the identity of other apps includedon your device, the date and time of your use of the Websites/Apps, your gameprogress, play time, score and achievements, and the URLs you visited and/orapps you used before and after using our Websites/Apps. - this data may be usedfor internal purposes such as personalization of content and contextual (notbehavioral) advertising. Our Websites/Apps complywith the Children's Online Privacy Protection Act ("COPPA"). We don'tknowingly collect personal information from children under the age of 13 inviolation of COPPA, and if in the event that a user identifies himself orherself as a child under the age of 13 through a support request, we will notcollect, store or use, and will delete in a secure manner, any personalinformation of such user. We allow users to contactus if they have support questions about use of our mobile applications. If yousubmit a support request, we may receive your email address and otherinformation you provide related to your support request ("SupportInformation"). We use Support Information only for the support. We do not knowinglycollect or use any Personal Information from children under the age of 13. Tothe extent we feel that any of our Websites/Apps are directed to children underthe age of 13, we will not collect Personal Information from users of thoseWebsites/Apps. If you are a parent of achild under 13 years of age and you believe your child has provided us withPersonal Information, please contact us at chocolikegames@gmail.com and we willdelete the information from our system. We may collectNon-personal Information, such as a device ID or other persistent identifierlinked to the device or computer, which may be used by a child to play ourWebsites/Apps. The data collected will be anonymous and not tied to anyPersonal Information. In addition, this data will be used solely for internalpurposes such as personalization of content, security, and contextual (notbehavioral) advertising. If you are between theage of 13 and 18, please obtain your parents' permission prior to registeringwith our Platform or providing us with any Personal Information. (i) We may share yourSupport Information with our support providers, but only for the purpose ofproviding support to you. (ii) We may share youremail address and/or Support Information: (a) to protect the security orintegrity of our website and Apps, (b) to take precautions against liability;(c) to respond to judicial process, or (d) to the extent permitted under otherprovisions of law, to provide information to law enforcement agencies or for aninvestigation on a matter related to public safety; and where such informationis not used for any other purpose, all in compliance with Section 312.5(c)(6)of the COPPA rules effective July 1, 2013. Our websites and apps maycontain APIs from third parties. ChocoLike Games is a game maker that aims to make games that will improve the abilities of people of all ages while enjoying. ChocoLike Games ist ein Spielmacher, der darauf abzielt, Spiele für Menschen aller Altersstufen zu entwickeln, um ihre Fähigkeiten zu entwickeln. ChocoLike Games, her yaştan insanın keyifle oynarken kabiliyetlerini geliştirebilecekleri oyunlar yapmayı hedef edinmiş bir oyun yapımcısıdır. From time to time we all are guilty of mobile gaming to kill time. Today, smartphones are essential part of our daily lives as we use them not only to talk to people but to settle business issues, read, listen to music and gabble online. Numerous apps help us to maintain healthy lifestyle, create a fitness regime, and even play for real money in best online casinos. 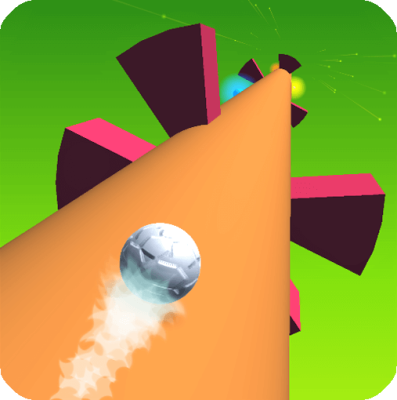 The main advantage of keeping favorite games in your mobile phone is its accessibility. Your smartphone is available for you at any time and any where. Best online games can be easily downloaded and played from any place in the world. Major gaming companies doing their best to improve the quality of gaming and make them available for consoles as Xbox, PS Vita, Nintendo 3DS and many others. Next huge advantage is that mobile phone games are mostly come for free and quick to download. Some games may cost few dollars but even in this case they are cheaper than console gaming. Even top Canadian casino sites have apps for every player to enjoy. With constantly improving quality of graphics, sound and design it is a real pleasure playing these games for hours without interruptions. Only player decides when to stop. Today’s phones provide opportunity to play with friends. Multiplayer features include chat-functions and leaderboards and change purposes of apps and mobile games. Next app is totally free and is called Quantum Moves. This game is about mastering a puzzle guiding liquid. Any game played on a good device will allow you to enjoy few hours of pure entertainment. When you think of learning, I bet you think of sitting in a classroom listening to a teacher’s lecture. While this is the most common way of learning, it is far from the best way to learn. Monotonous repetition, never ending lectures, and repeated testing are not good ways to learn. The best way to learn is to remove the boring and have fun. This article will explain the benefits of mind games. First, it is important to understand what exactly these games are. Mind games are activities that are fun but challenge your brain. Games that make you think, strategize, and remember information are all games that will help train your mind. In fact, many of these basic characteristics are what you find in many of the games you already play. The purpose of these games is to improve your memory, thinking, reaction time, and cognitive ability. These games are especially important later in life to keep these factors strong. While it may seem hard to believe, by simply playing certain games you can help avoid degeneration and memory loss by continuing to work your brain and keep it sharp. Mind games are usually simple in design but have a big impact. Think of your brain like your abs. If you work out your abs you are going to develop strong abs. However, if you do not work out your abs they will lose their definition and strength. Mind games are built to work your brain to keep it sharp and alert. One great example of a mind game is chess. Chess is a game full of strategy. You cannot simply move a piece and hope to win. Instead, you have to plan ahead, outwit your opponent, and only then can you win. Regularly playing chess sharpens your strategic thinking and will keep your mind strong to a certain extent. A more popular example today would be Sudoku. This game requires you insert numbers ranging from 1-9 into squares until you have created a square and a line that has each number from 1-9. There is much thought that you have to put into this game and it is a great way to keep your mind sharp. Still, the problem with chess or Sudoku is that you tend to develop a strategy and create patterns in the way you play. You don’t constantly challenge yourself and your brain to move to higher level of difficulty. For this reason, serious mind games are offered only by playing scientifically validated brain fitness software. Thinking, strategizing, and remembering information are just a few things that you will do in games to build your mind. Keep your mind sharp and strong throughout your life by remembering the benefits of playing mind games. Zeka oyunları, çocukların eğlenirken zekasını geliştirmesi, zihnini açması ve yeni bir şeyler öğrenmesi için hazırlanmış oyunlardır. Çocuklar bu oyunlarla var olan zihinsel ve bilişsel yeteneklerini geliştirebildikleri gibi, yeni yetenekler de kazanırlar. Zeka oyunları çocuklara; çabuk karar verme, sonraki aşamaları düşünme ve öngörme, olasılıkları hesaplama, mantığını etkili ve yetkin bir şekilde kullanma yeteneği kazandırır. Bu oyunlar çocukların yalnızca yeteneklerini geliştirmekle kalmaz, kötü alışkanlıklar edinmelerine de engel olur. Planlı hareket etmeyi, hızlı ve doğru karar vermeyi öğretir. Olaylara ve durumlara nasıl farklı açılardan yaklaşılabileceğini, nasıl farklı yorumlar getirilebileceğini gösterir. Kişiliği ve karakteri olumlu yönde etkiler ve geliştirir. Çocuk zeka oyunlarında bir şeyler öğrendikçe ve zekasını, bilgi ve becerisini kullanarak kazanmaya başladıkça, kendine güveni artar. Yeteneklerini, bilgi ve zekasını ölçme fırsatı bulur. Kendini ve sınırlarını tanır. Eksik yönlerini görür ve geliştirmek için neler yapabileceği üzerinde düşünür. Kendi başına, büyüklerinden bağımsız bir şekilde karar vermeyi ve verdiği kararın sorumluluğunu üstlenmeyi öğrenir. Zeka oyunları yüksek konsantrasyon gerektirdiğinden çocuk bu oyunları oynarken, dikkatini yoğunlaştırma ve bir tek işe konsantre olma becerisi edinir. Bu da çocuğun ders çalışırken veya okulda öğretmenini dinlerken konsantre olmasına yardımcı olur. Zeka ve bilgisinin işe yaradığını gören çocuk, bunları geliştirmek için çalışacaktır. Başka olasılıkların da var olduğunu görmek çocuğa durum ve olaylara şüpheyle yaklaşma, diğer ihtimalleri de göz önünde bulundurma alışkanlığı kazandıracaktır. Böylece ezberci değil; araştırıcı, sorgulayıcı bir yaklaşımı benimseyecektir. Bu araştırmalar ve sorgulamalar çocuğun yaratıcılığını da geliştirecek, hayatta daha başarılı ve fark yaratan bir birey olmasını sağlayacaktır. Zeka oyunları kadar kitaplar da çocuğunuzun zekasını ve yeteneklerini geliştirir. Onun yeni şeyler öğrenmesini ve böylece kendine güvenen bir birey olarak yetişmesini sağlar. Son zamanların popüler oyunlarından olan puzzle’ın çocuklar üzerinde müthiş faydasının olduğu ortaya çıktı. Peki bu puzzle oyunları nedir? oyunlardan uzaklaşırlar ve özgüven eksikliği de yaşarlar. arasına sokmak gerekir. Puzzle bir çocuğun hayatı anlamasına da yardımcı olur. "ChocoLike Games" / "Memory game - Dinosaur matching"
2. "Non-personal Information," which is information that does not identify you and cannot be used to contact you personally, including information about you such as your date of birth, age, ZIP code, non-precise geolocation information (e.g., your city), and gender, as well as information about your computer and mobile device, such as your unique device ID, Internet Protocol (IP) address, or other persistent identifiers, and their hardware/software/firmware. Non-personal Information also includes "Usage Data," which is anonymous data tied to your computer and/or device, such as the actions you take within and outside of the Websites/Apps, the browser you use, the identity of other apps included on your device, the date and time of your use of the Websites/Apps, your game progress, play time, score and achievements, and the URLs you visited and/or apps you used before and after using our Websites/Apps. Our Websites/Apps comply with the Children's Online Privacy Protection Act ("COPPA"). We don't knowingly collect personal information from children under the age of 13 in violation of COPPA, and if in the event that a user identifies himself or herself as a child under the age of 13 through a support request, we will not collect, store or use, and will delete in a secure manner, any personal information of such user. We allow users to contact us if they have support questions about use of our mobile applications. If you submit a support request, we may receive your email address and other information you provide related to your support request ("Support Information"). We use Support Information only for the support. We do not knowingly collect or use any Personal Information from children under the age of 13. To the extent we feel that any of our Websites/Apps are directed to children under the age of 13, we will not collect Personal Information from users of those Websites/Apps. If you are a parent of a child under 13 years of age and you believe your child has provided us with Personal Information, please contact us at chocolikegames@gmail.com and we will delete the information from our system. 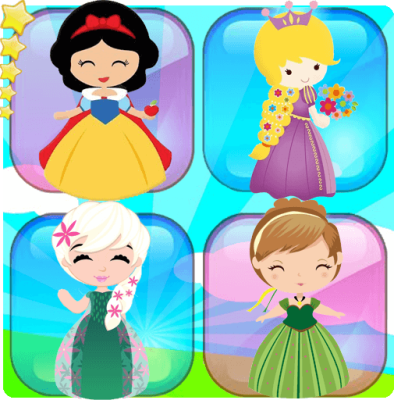 "ChocoLike Games" / "Memory game - Princess matching"
through our mobile applications and website and how we use that information. personalization of content and contextual (not behavioral) advertising. delete in a secure manner, any personal information of such user. Personal Information from users of those Websites/Apps. 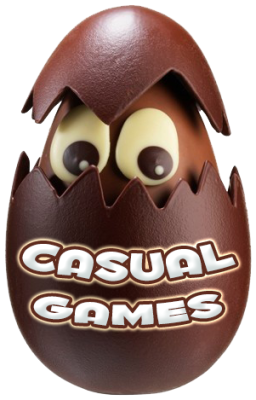 at chocolikegames@gmail.com and we will delete the information from our system. providers, but only for the purpose of providing support to you. compliance with Section 312.5(c)(6) of the COPPA rules effective July 1, 2013.
you, how we may use it, and when we may disclose it. <b>Les meilleurs Jeu de mémoire fruits- Match de cartes puzzle. - Un jeu qui incitera votre cerveau à se concentrer sur la mémoire visuelle et à mémoriser les cartes à jouer. - Avec un gameplay simple et intuitif. Les enfants d'âge préscolaire, les filles et les garçons peuvent facilement jouer à ce jeu de mémoire éducatif. - L'image de fond, la musique de jeu, l'image de la carte avant et le verso des images de la carte changent dans chaque scène. Ainsi, les animations de «correspondance de cartes puzzle» continuent différemment, vous ne vous ennuyez jamais. - Avec vos capacités de mémoire; concentrez-vous, rappelez-vous, la motricité et votre créativité seront également renforcées. - Interface adaptée aux enfants. Il ne contient pas de visuels ou de publicités susceptibles de nuire à vos enfants. 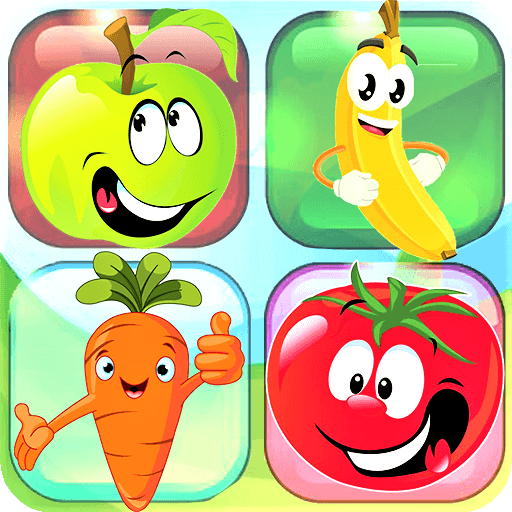 "ChocoLike Games" / "Jeu de mémoire - Match de cartes puzzle (Fruits)"
Our Websites/Apps complywith the Children's Online Privacy Protection Act ("COPPA"). We don't knowingly collect personal information from children under the age of 13 inviolation of COPPA, and if in the event that a user identifies himself orherself as a child under the age of 13 through a support request, we will not collect, store or use, and will delete in a secure manner, any personalinformation of such user. We allow users to contactus if they have support questions about use of our mobile applications. If you submit a support request, we may receive your email address and otherinformation you provide related to your support request ("SupportInformation"). We use Support Information only for the support. If you are a parent of achild under 13 years of age and you believe your child has provided us with Personal Information, please contact us at chocolikegames@gmail.com and we will delete the information from our system. (ii) We may share youre mail address and/or Support Information: (a) to protect the security orintegrity of our website and Apps, (b) to take precautions against liability;(c) to respond to judicial process, or (d) to the extent permitted under other provisions of law, to provide information to law enforcement agencies or for aninvestigation on a matter related to public safety; and where such information is not used for any other purpose, all in compliance with Section 312.5(c)(6)of the COPPA rules effective July 1, 2013. 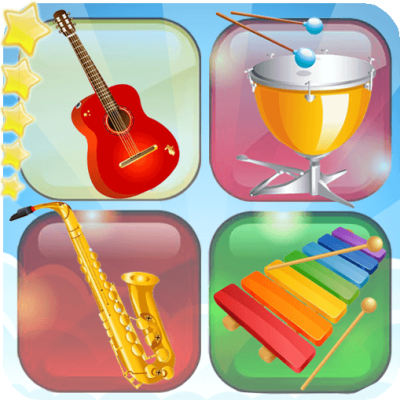 "Casual Games Offline" / "Memory game - Musical instruments matching"
This page informs you of our policies regarding the collection, use and disclosure of Personal Information when you use our apps. We do not collect personally identifiable information about you, such as your name, address, or phone number.